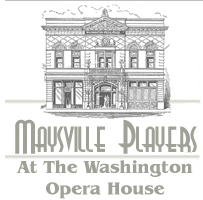 The Maysville Building Department was established in 1964 and the Mason County Fiscal Court adopted the Building Code in 2006. The purpose of the building code is to provide minimum requirements to safe guard the public safety, health, and general welfare through affordability, structural strength, means of egress, stability, sanitation, light and ventilation, energy conservation and safety to life and property and other hazards attributed to the built environment. Building permits are required when any owner or authorized agent who intends to construct, enlarge, alter, repair, move, demolish or change the occupancy of a building or structure, or to erect, install, remove, convert, or replace any electrical, gas, mechanical or plumbing system, or to cause any such work to be done, shall first make application to the Building Official/Inspector and obtain the required permit. A Building Permit is required on all new construction. A Remodeling Permit is required when any alterations are being made on an existing structure, except for cosmetics changes or regular repairs and maintenance. Please visit the Forms page to download a building permit application. A Zoning permit is required on all structures 99 sq. ft. or less and manufactured homes. A Demolition permit is required before razing any structure. A Swimming Pool permit is required on all in-ground and above-ground pools. Please visit the Forms page to download the appropriate permit application.